Fordham University students get to take advantage of its New York City locations. Fordham University describes itself as “New York’s Jesuit University.” Fordham’s three undergraduate schools include Fordham College at Lincoln Center (about 2,000 students, mostly in one very large building and a very large adjoined apartment/dorm building), Fordham College at Rose Hill (about 5,000 students on a large wooded campus in the Bronx) and the Gabelli School of Business (also on the Bronx campus), which has strong programs in accounting and finance. 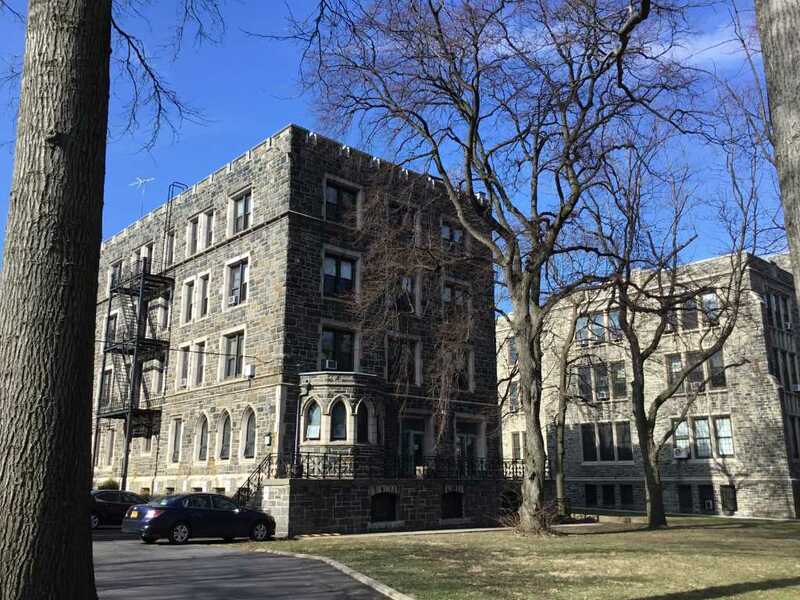 Debbie and Evelyn visited Fordham’s Rose Hill campus in early 2018. While the Lincoln Center campus (see below) has an urban, city feel, the Rose Hill campus has a traditional campus feel. Located in the Bronx, Fordham University’s main campus is home to about 80% of freshmen, and about half of all students; the rest live nearby in the neighborhood (which has tons of ethnic food – and you can get it delivered to campus!). Classes are small here – the average class size is 22 – an introductory science class (which most students would take at some point) may have up to 70 students in it. Students at the Rose Hill campus take advantage of the proximity of New York City – the alumni network is strong and most students do internships during their time here. Fordham University students are fortunate to have great entertainment – musical acts and comedians frequently come to campus. I visited Fordham College at Lincoln Center (FCLC) in 2012, where students take small, personalized classes in the liberal arts. FCLC students consider Central Park to be their “quad!” The core courses include nine disciplines, with philosophy and theology courses required. FCLC excels in the performing arts – the Alvin Ailey American Dance Theatre is literally a few blocks away – and students can major or minor in a performing or visual arts discipline. There are over four dozen majors from which students can choose. FCLC students note the strong sense of community – since the 50% of students who do live on campus all live in McMahon Hall (where students do their laundry for FREE!) 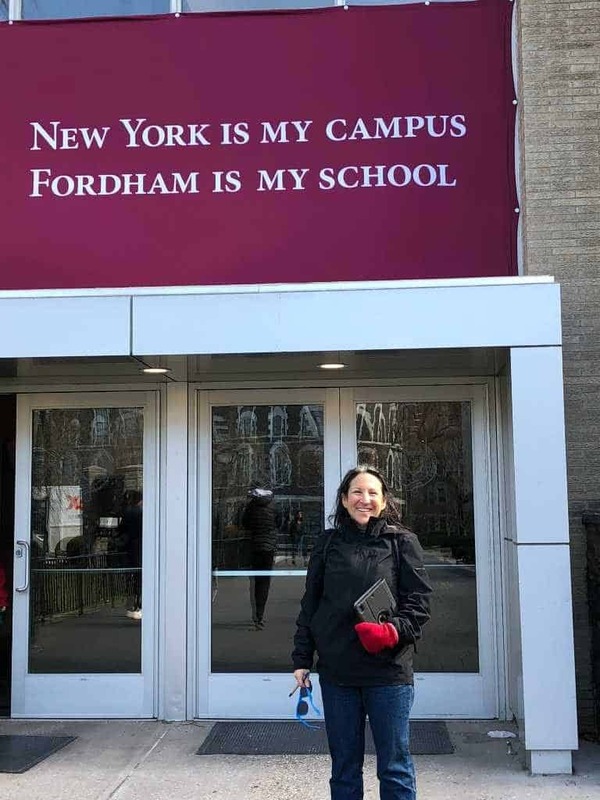 And while religion can play as large or small a role in students’ lives and education as they choose, the Jesuit tenet of “care for the whole person” is apparent in the Fordham education. Many students participate in service learning and social justice programming, and the campus ministry office’s Global Outreach program offers students the opportunity for “cultural immersion and service” in thirty locations around the world. In early 2013, I was invited to a small breakfast with the Dean of the Gabelli School of Business, Donna Rapaccioli, when she was visiting Los Angeles. She gives a very impressive presentation of the undergraduate program, which (unlike many undergraduate business programs) has a strong liberal arts core. She noted that students who are interested in quantitative work and problem solving will do well in business school. The curriculum at Gabelli is heavy in writing and speaking, as well as “collaborative competition.” 90% of Gabelli undergraduates do an internship, and given their NYC location, they frequently enjoy speakers who are executives of major international corporations. 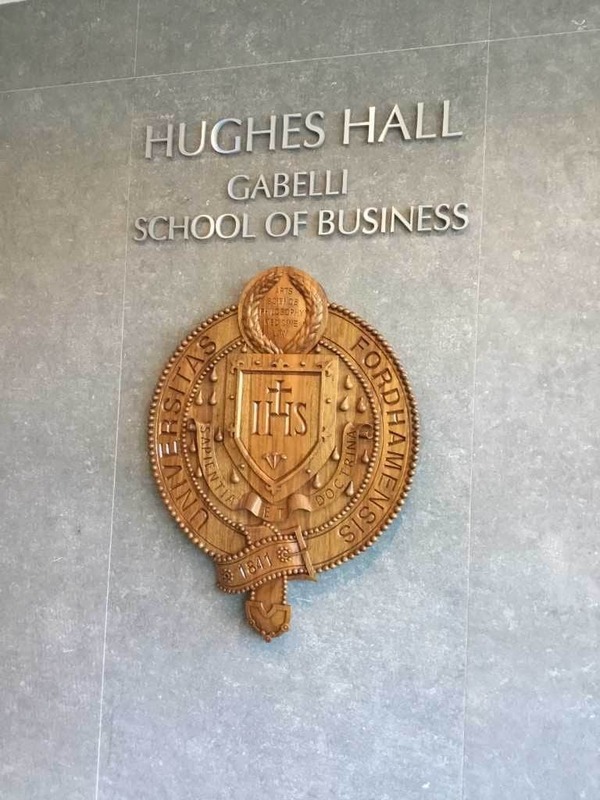 In addition to standard business school areas of study, such as accounting, finance and marketing (and others), Gabelli offers some interesting specializations, including sports business, sustainable business, and a new focus on alternative investments, such as hedge funds and commercial real estate. Famous Fordham University alums include Denzel Washington and Los Angeles Dodgers color commentator Vin Scully, as well as Vince Lombardi and former Vice Presidential nominee and Congresswoman Geraldine Ferraro. You can scroll through photos from our multiple visits to Fordham University below.